Sea of Thieves' main draw is its ability to give players the power to create their own stories and experiences. Storytellers work hard to craft the perfect experience for players, with highs and lows and emotional twists, but sometimes the best stories emerge naturally from the players. Sea of Thieves doubles-down on this and the bet has paid off big time. Out of all the titles released this year, Sea of Thieves is second to none when it comes to offering a story in a non-narrative experience. Incredible situations arise all the time in Sea of Thieves. 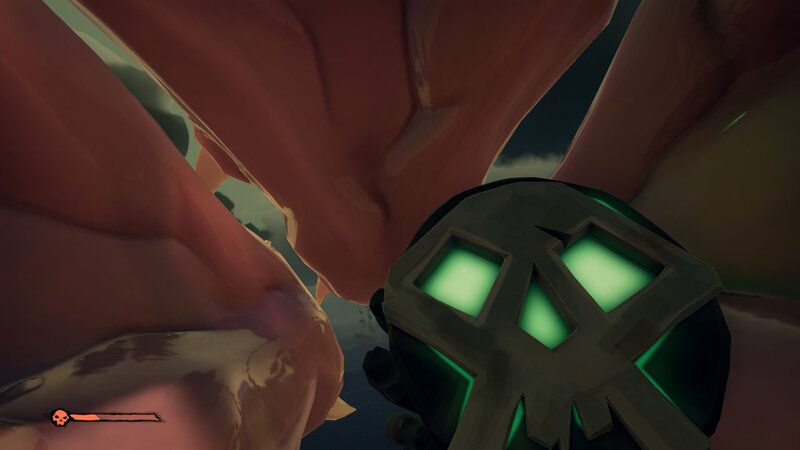 Here I am holding the key to a pile of treasure, while being trapped inside a Kraken, with an enemy galleon in the distance. The lore behind the world of Sea of Thieves is scattered throughout the islands, told to players by vendors, and explored more deeply in canonical literature. When it comes to stories players can experience in Sea of Thieves, they often emerge from the players’ own actions. A simple voyage to dig up buried treasure can evolve into wild chases, epic battles, and unpredictable alliances. Where Sea of Thieves excels is in its ability to give players “tools not rules”, an ideology touted by many of the developers over at Rare. This design philosophy has allowed Sea of Thieves to evolve into an unmatched sandbox experience. Every tool in the game, and those that continue to be added, expand the potential for stories to bloom from the chaos. Firing pirates from cannons, gunpowder barrels with manual fuses, speaking trumpets, cursed cannonballs, the attachable rowboat, all these mechanics coalesce within the stylistically beautiful environment to create unforgettable stories. Every voyage on the Sea of Thieves offers the potential for fantastic stories. 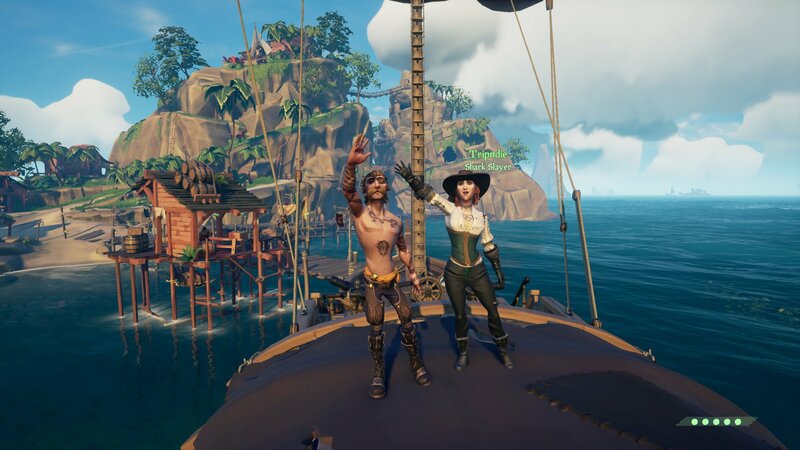 Even when the chaos of other players isn’t a factor, the world of Sea of Thieves feels alive and every voyage feels like the start of an adventure. It’s a testament to the thought process over at Rare and how they chose to place the player within the world of Sea of Thieves. At no point does the player have an out-of-body experience where they “become” the ship to captain it, everything happens in first person, even something as trivial as raising the sails. Because the player is so rooted in the world, planted firmly in the scrappy shoes of their pirate, everything feels as though it’s happening to the player. A storm is electrifying in its intensity, the ocean is both a marvel and utterly vast in its reach, and exploring a lush island is like an expedition. Every tool is at the player’s disposal, and every encounter has the potential to go pear shaped, and that’s where the genius lies. All these systems in Sea of Thieves come together to create a beautiful waltz, but there’s just enough randomness in nature and in man that truly amazing and unpredictable stories can emerge.